The moans and groans that were so audible at Old Trafford on Saturday during Manchester United’s uninspired 2-1 triumph over West Ham came from multiple sources and points of frustration. Many of the whines were released in response to the erratic passing and bewildering decisions made by United players in possession, while one corner of the ground added their own key to the harmony when unleashing their ire at the match officials. However, the most ominous tones were the melancholic laments of a support united in a horrible, shared moment of clarity. “We’re still f*****g miles away”. That was the stark truth staring the watching masses in the face at Old Trafford on Saturday, as Marcos Rojo, Juan Mata, Anthony Martial and the rest of United’s misfits were shanking passes and falling over their own feet against West Ham. 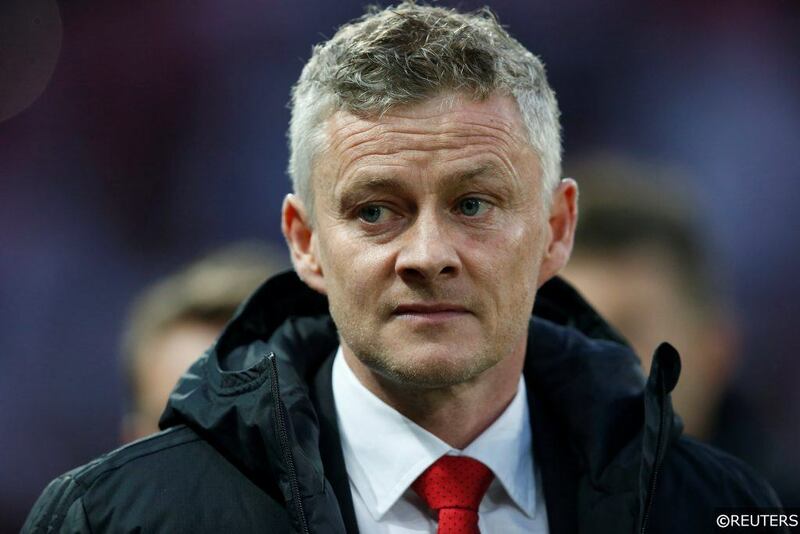 With 4 defeats from 6 and a spate of worrying team and individual performances, the thin veneer of positivity restored by Ole Gunnar Solskjaer in 2019 has been cracking and separating at an alarming rate in recent weeks. The good news is however, that the Norwegian is just as aware of United’s malaise as the club’s beleaguered fanbase. Those words suggest that the baby-faced assassin’s weapon of choice this summer will be an axe, and that plenty of heads at Carrington will be rolling during what looks certain to be United’s most important summer window in a decade. Read the latest Premier League news, match previews, betting tips and special offers here. Solskjaer’s overhaul of the playing staff at United started as early as January, when as interim-manager he approved the sale of Marouane Fellaini to Chinese Super League club Shandong Luneng. In many ways, the awkward Belgian was the personification of everything that had gone wrong at United post-Ferguson, and his exit hinted at a long-overdue shift of direction at the club. Long-serving Ecuadorian and club captain Antonio Valencia was informed that his time was also up at United, and the veteran full-back will leave Old Trafford when his contract expires in the summer. Fringe players Matteo Darmian, Marcos Rojo and Eric Bailly (Bailly to Arsenal – 2/1 with Betvictor) are all almost certain to be shown the door too, while Spanish workhorse Ander Herrera is close to inking a free transfer to PSG. The perennially ineffective Juan Mata (Mata to Valencia – 6/4 with Betvictor) could also follow his compatriot out of the club, while Romelu Lukaku’s agent has been making noises about a possible move away from United for the bumbling Belgian. United supporters aren’t likely to be fussed about any of the names on the long list of probably departees, and in truth, many of them are concerned that the club isn’t been ruthless enough. For the majority of those fans, the new deals handed out to Chris Smalling, Phil Jones and Ashley Young since December heightened fears that the club will never cold-blooded enough to weed out the deep-rooted mediocrity. 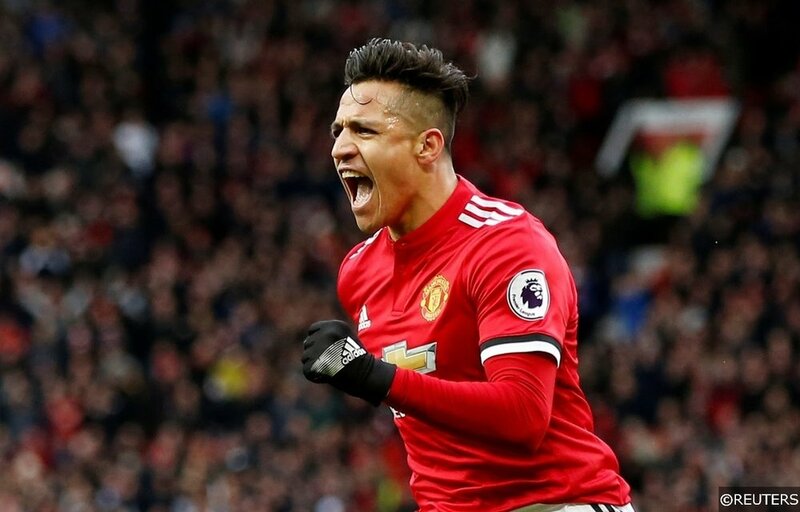 The over-paid and drastically underperforming Alexis Sanchez is also seen as a priority problem that needs fixing, and there is hope that the Chilean’s ejection could restore some sensibility to wage demands elsewhere at the club. The Old Trafford decks look set then, to be cleared and stripped back to raw wood. But with the number of outgoings conceivably hitting double figures, how many replacements are likely to arrive? Read about United’s pursuit of a top 4 Premier League finish here. Fresh reports last week intimated that 5 new players, at the very minimum, could be signed by Solskjaer this summer in his attempts to injected some life into a United squad severely lacking in stardust. Other media briefings also suggested that United’s transfer policy will revert back to the recruitment of younger, hungrier players whose best years lie ahead, rather than the big-money readymade superstar policy that had been favoured in recent summers. That would seem then, to rule out long-term target Gareth Bale, who looks destined to finally leave Real Madrid this summer, while links to the Welshman’s teammates Toni Kroos, Raphael Varane, and Inter Milan’s Mauro Icardi feel similarly tenuous. 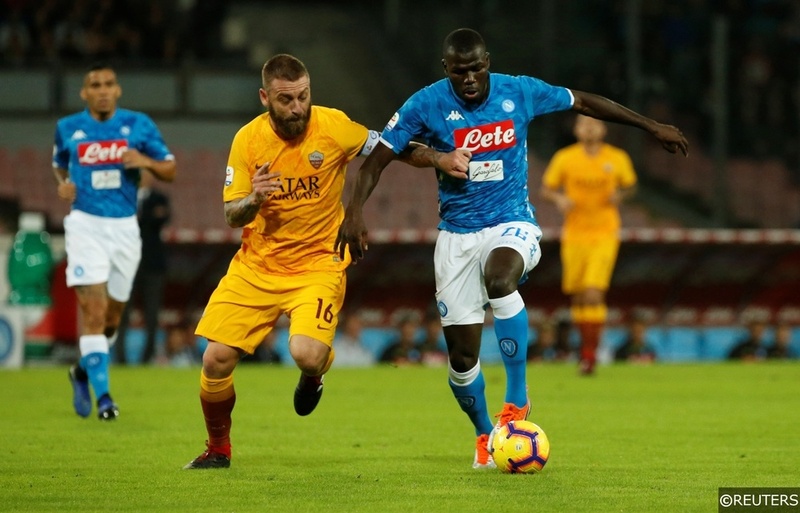 Reinforcements in defence are urgently required, though long-standing interest in Napoli’s Kalidou Koulibaly (4/1 with Betvictor) seems to have cooled, while Leicester City’s valuation of Harry Maguire (6/4 with Betvictor) is likely to scare any of his potential suitors off, including United. A move for Tottenham’s Toby Alderweireld (1/1 with Betvictor), who will be available for just £25m this summer, has been muted, while links to RB Leipzig’s exciting young centre half Dayot Upamecano (4/1 with Betvictor) have also started to surface. At right-back, PSG’s Thomas Meunier (5/2 with Betvictor) has long been touted as a solution to United’s problems, though Crystal Palace’s Aaron Wan-Bissaka (3/1 with Betvictor) fits the Solskjaer-signing profile much more snuggly. Further up the pitch, the emergence of Scott McTominay and improving performances Fred have reduced the need for a radical midfield revamp, though United still lack quality and energy in central areas. Links to West Ham’s Declan Rice (8/1 with Betvictor), Lyon’s Tanguy Ndombele (6/1 Betvictor) and Barcelona’s Philippe Coutinho (5/2 Betvictor) feel like the strained attempts to join the dots by a media largely kept in the dark however, and it’s in this area that United are most likely to spring a surprise or two. 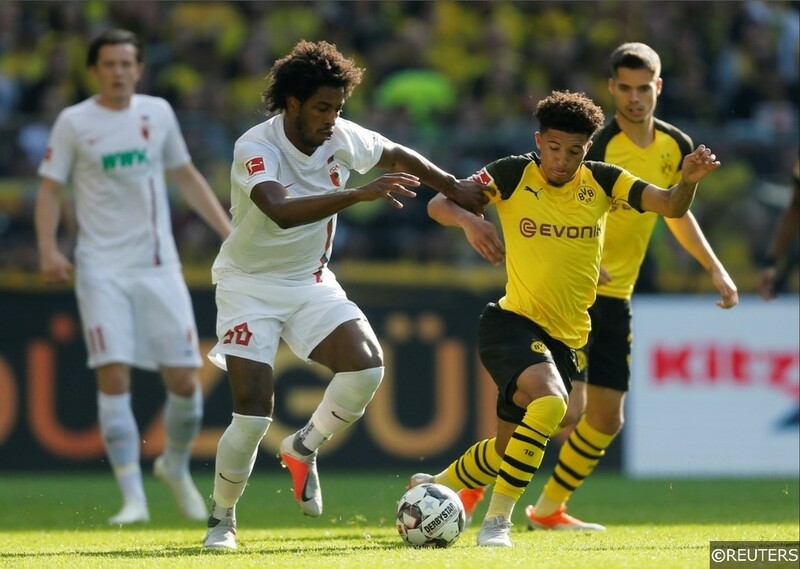 In attack, United continue to be mentioned as a possible destination for Borussia Dortmund’s Jadon Sancho (4/1 Betvictor) and Benfica’s rising star Joao Felix (5/1 Betvictor), but with valuations of over €100m place on the emerging talents by their respective clubs, any move is likely to be for one or the other, with the cost of signing both prohibitively high. With links and rumours ranging wildly from flimsy to plausible, from to laughable to credible and everywhere in between, predicting United’s summer moves with any certainty feels like an exercise in futility. What is much more probable however, is that the United team that takes to the field at the Nou Camp in the second leg of the team’s Champions League Quarter Final with Barcelona on Tuesday, will look almost unrecognisable in just a few months’ time. Read our comprehensive Barcelona vs Man Utd match preview, predictions and betting tips here. Categories: Blog, Football, and Premier League. Tags: manchester united, transfer betting tips, and transfer special. Team Tag: manchester united. League: England Premier League. Sports: Football.